Woodworking Etc is a custom cabinet furniture company located in West Warwick Rhode Island. 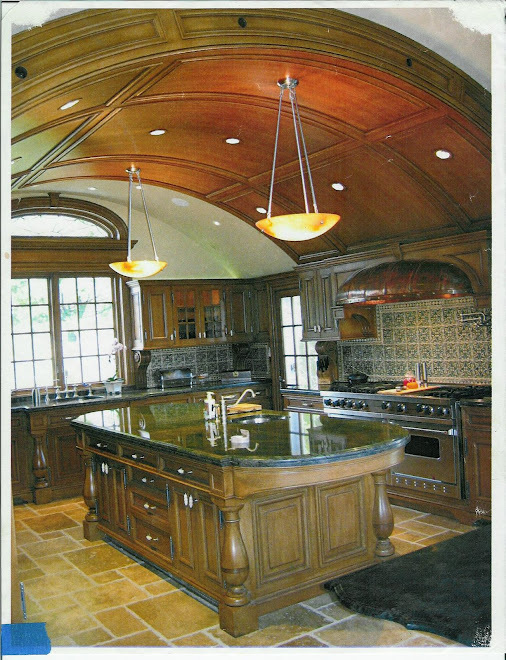 Since 1988 Woodworking Etc has been creating custom residential furnishings, specializing in built in cabinetry and handcrafted architectural mouldings. Some projects include bookcases, wall-units, entertainment centers, home office and computer furniture or custom designed for the clients needs. Each project is individually designed and handcrafted. Finishes can be painted stained or naturally finished wood . The design process begins with a visit to the client's home to view the site of installation and assess the needs of the client. Measurements are taken and design details determined. From here , a drawing and a cost estimate can be determined. Drawings from the client are helpful but not necessary. Generally there is no charge for the design and estimate. Majority of the construction and finishing is done in the workshop. A large wall unit typically takes four to six weeks until completion. On site installation is one to two days. All work is guarenteed. For more information or to schedule an appointment, please contact us at Woodworking Etc through one of the methods listed below.